Happy New Year, everyone! DJ Deej and DJ S-Goods are back in the studio for After Class. They talked about how they rang it in, and some of the stories that have been highlighted in 2016 so far. The hockey World Juniors came to a close yesterday, with a 4-3 Finnish victory over Russia. The U.S.A. won the Bronze Medal. For more on this, tune in to the Sports Crunch At Lunch. ‘American Idol’ is in its 16th and final season. The show began in the year 2000, and was won by Kelly Clarkson. Although none of the original judges remain, the show still creates a lot of buzz and has a lot of loyal followers. Kanye West auditioned and no surprise, he made it through to Hollywood. To see the audition, click here. Kanye also released “FACTS”, a diss track to the sports brand, Nike. He has made a lot of Headway with his adidas Yeezy collection. Deej asked the question about Nike vs. adidas, and both DJs came to the conclusion that they like both brands for different reasons. 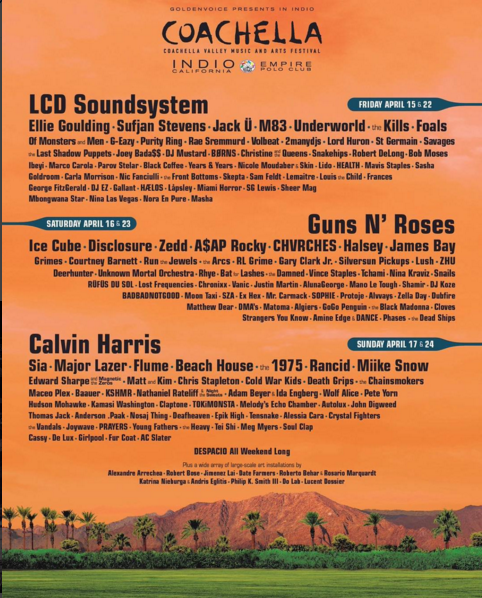 The Coachella 2016 line-up is officially out there. DJ Deej is hoping to go this year, being that she has no final exams to write. 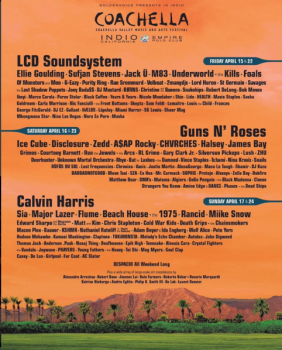 Both DJs are the most excited about Guns N’ Roses, Jack U, Major Lazer, and Flume.